Infants and children are NOT just “little adults!” Dr. Cassandra Josephson shares 5 principles you must know about pediatric transfusion. Dr. Cassandra Josephson from Emory University in Atlanta joins Dr. Chaffin to discuss her “Five Top Things You Should Know about Pediatric Transfusion.” Dr. Josephson is a very widely published and respected authority on pediatric transfusion (she is the co-author of the chapter “Neonatal and Pediatric Transfusion” in the current edition of the AABB Technical Manual, among many other publications). Honestly, she’s just terrific! 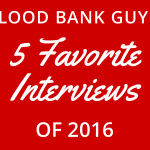 She was kind enough to join me for a far-ranging conversation on five top things you need to know if you are to be involved with pediatric transfusion in 2016! 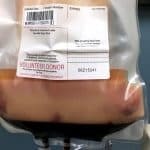 Note that this is not intended to be the only things you need to know, and this is just the first in an occasional series on pediatric transfusion issues, so enjoy this one and be ready for more down the line! DISCLAIMER: The opinions expressed on this episode are those of my guest and I alone, and do not reflect those of the organizations with which either of us is affiliated. 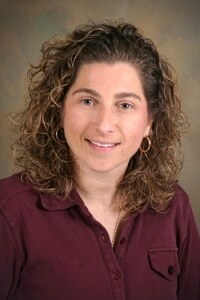 Dr. Josephson serves as a consultant to the following companies: Immucor, Octapharma, and Biomet Zimmer. 22:30: Description of new paper showing no benefit of platelet transfusions in preventing neonatal intraventricular hemorrhage! Sparger KA et al. 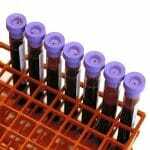 Platelet Transfusion Practices Among Very-Low-Birth-Weight Infants. JAMA Pediatrics 2016 (early view online May 23, 2016). Slichter SJ et al. Dose of Prophylactic Platelet Transfusions and Prevention of Hemorrhage. N Engl J Med 2010;362:600-13. Josephson CD et al. 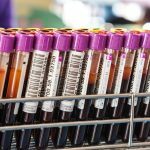 Bleeding risks are higher in children versus adults given prophylactic platelet transfusions for treatment-induced hypo proliferative thrombocytopenia. Blood 2012:120(4):748-60. Josephson CD et al. 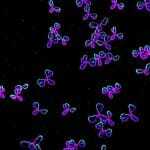 Blood Transfusion and Breast Milk Transmission of Cytomegalovirus in Very Low Birth Weight Infants. JAMA Pediatrics 2014;168(11):1054-62. Delaney M et al. Postnatal cytomegalovirus infection: a pilot comparative effectiveness study of transfusion safety using leukoreduced-only transfusion strategy. Transfusion 2016 (early view online April 15, 2016). Vichinsky EP et al. Prospective RBC phenotype matching in a stroke-prevention trial in sickle cell anemia: a multicenter transfusion trial. Transfusion 2001;41:1086-92. Chou ST et al. High prevalence of red blood cell alloimmunization in sickle cell disease despite transfusion from Rh-matched minority donors. 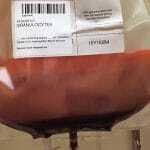 Blood 2013;122(6):1062-71. Nickel RS et al. Impact of red blood cell alloimmunization on sickle cell disease mortality: a case series. Transfusion 2016;56(1):107-14. McLaughlin JF and Ballas SK. High mortality among children with sickle cell anemia and overt stroke who discontinue blood transfusion after transition to an adult program. Transfusion 2016;56(5):1014-21. Dr. Josephson’s talk was SUPERB. This should be required listening for all incoming Heme/Onc Fellows as well as Transfusion Medicine Fellows. 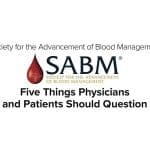 Her clear and concise review of the 5 topics listed above will give you evidence-based answers for your toughest pediatric blood bank questions. Thanks Dr. Chaffin for providing quality podcasts!! Thanks for the comment! Dr. Josephson is indeed incredible, and I’m very glad you enjoyed the podcast! Dear Dr. Chaffin,I’m from Qingdao,a beautiful city in China.I work in blood transfusion department.I pay attention to your web site for a long time.The web site you create is so great.I want to translate your blogs and podcast into Chinese.I want to introduce you to China for doctors who work in blood transfusion department or blood bank. Can you authorize me to translate your articles into Chinese? 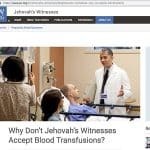 Thank you for your website，I got a way to learn about transfusion in America. 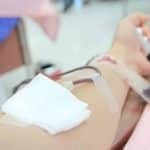 In China the APP “WeChat” is very popular .We use WeChat chat.We use WeChat share articles.Also We use WeChat reservation.I have created a WeChat public number called “Blood transfusion information”.I share some video from your website blood bank guy on WeChat public number. My English is not well,there may be some mistakes in grammar. Hope have more communication with you！I I will study hard to improve my oral English. Thanks for writing! Your English is fine! 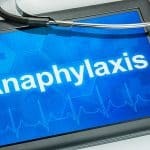 Please contact me directly through the “Ask BBGuy” link (bbguy.org/ask) for further discussion about your ideas, ok? Absolutely superb! Yes please do bring Dr. Josephson back to discuss more neonatal and pediatric TM topics. I really enjoyed her podcast. Thanks, Canadian BB’er! She really is terrific, and I love her enthusiasm and passion for what she does. I will definitely have her back in 2017 (if she is willing). Hello Dr. Joe! Jad here from Saudi Arabia. Thank you for focusing on Paediatric and Neonatal Transfusion Practice which are so often overlooked. This is an excellent podcast and I look forward to more. I had problem playing podcast 012 pediatric transfusion. Nothing happens after I clicked ‘play’ arrow. Any suggestion? No problem with the other ones I heard. Thanks for letting me know! Try it again; it should be working now (reload your page if it doesn’t work the first time).